As designers, circulation (which refers to the way people move through and interact with a space) is often seen as an opportunity that goes beyond simply moving people between spaces. In our design efforts, we often seek ways to minimize circulation, give it back to program space or turn it into something that can be used in multiple ways. 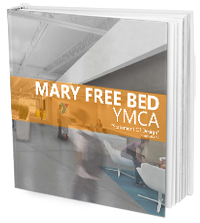 For the Mary Free Bed YMCA, circulation played a unique role. As a universally designed facility, circulation needed to be accessible by everyone. The answer to this was a ramp. But not just any ramp. The ramp at the new YMCA is an architectural feature that allows easier circulation, helps in wayfinding and can be used by nearly everyone. 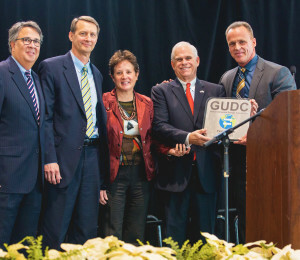 Additionally, the facility was conceived around and intended to embody the principles of Universal Design making the idea of inclusion a holistic focus. All of these concepts, especially the focus on Universal Design, were unique to this project when compared to most others. In general, most buildings only seek to include principles of the Americans with Disabilities Act. Universal Design seeks to go above and beyond those requirements to make an environment that is inclusive and accommodating for all users. Understanding the needs and unique barriers that persons with disabilities face was very important, because we understand that at some point most people will find themselves challenged by either age, language barriers, temporary illness or injury. 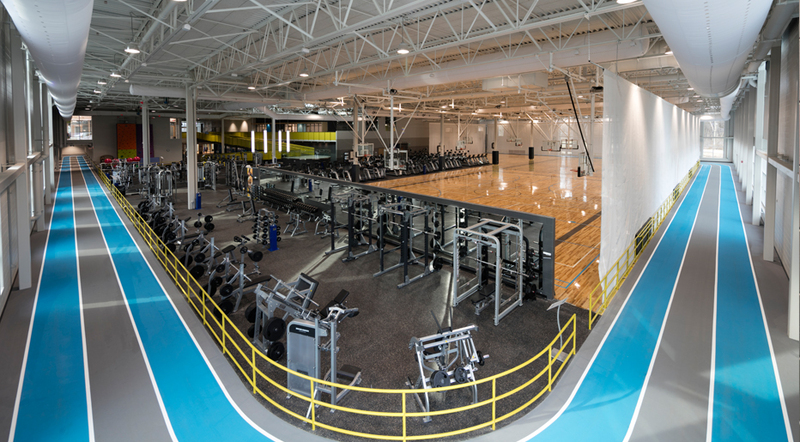 As with all YMCA facilities, creating solutions that effectively marry one-story spaces with multi-story spaces like pools and gyms is crucial. With that in mind, among the very early concepts for the design proposed to use a ramp as the main/ only circulation connector between the first floor and the second floor. 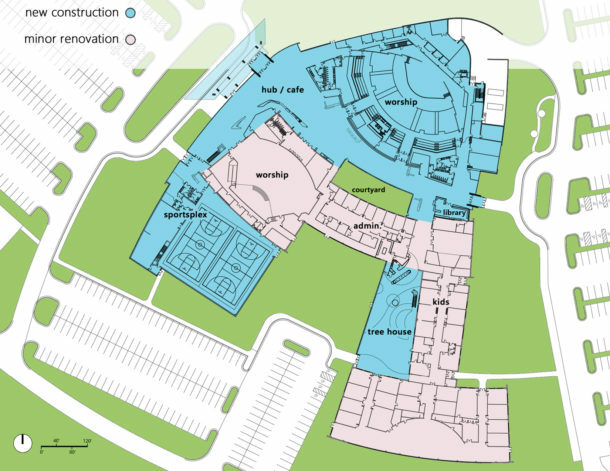 The overall plan for the facility sought to minimize circulation for clear wayfinding. The ramp therefore was centrally located to be seen from the main entrance and the fitness floor so that all people can orient themselves in the building based on a visual connection to the ramp. All spaces were designed to open to the common lobby making the ramp visible from all room entries. By utilizing a ramp as the circulation experience in the building, equality is promoted, healthy living is reinforced and the transition of spaces is celebrated. To accomplish these goals, many details were reconsidered for the Mary Free Bed YMCA ramp that would make it unique, functional, and opportunistic for the organization. The length of the ramp creates opportunities for physical therapy programming and usage due to its known travel distance and easy slope. The oversized width of the ramp encourages its use by allowing multiple people to travel side by side or pass each other eliminating potential conflicts to promote its use by all. The main landing of the ramp at the turn is oversized creating a prospect view of the fitness floor. This supports wayfinding while also giving a place of respite for people along the path of travel. A large light monitor was designed overhead to allow natural light penetration further into the building. This aids people with visual disabilities where natural light offers better contrast and color rendition. 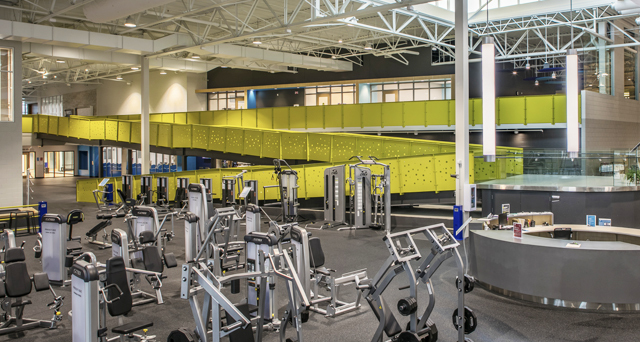 By centrally locating the ramp and making it the featured circulation path, all YMCA members are able to use it, promoting equality amongst the membership. 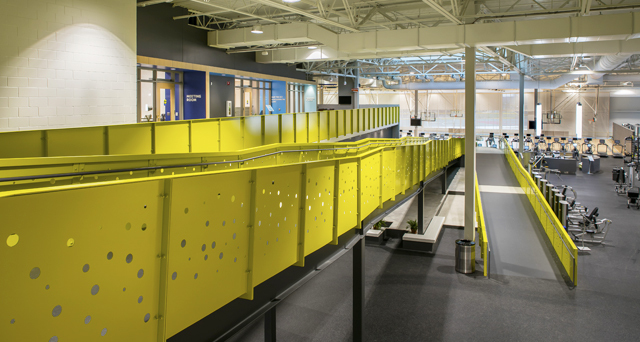 A unique guardrail design that is derived from bouncing balls, connecting to the focus of the YMCA organization, together with a distinctive paint color is easy for people with vision impairments to see. At the main landing the guardrail was changed to an all glass guardrail to eliminate any visual barrier to the fitness floor for wayfinding and connecting to others. Where the ramp meets the first and second floor, transitions (possible trip hazards) between the floor materials were eliminated to create a seamless connection. The flooring material for the ramp was chosen to increase friction for wheelchair users making it easier to traverse. The flooring color was chosen to create good contrast between the first and second floor materials to alert people to the slope of the ramp. The landings for the ramp were also a contrasting color to alert people to the change in slope (learn more about the use of color throughout the YMCA). The space below the ramp was captured for multiple uses. Under the landing, storage was provided for use by the YMCA staff. Under the ramp itself, bench seating was incorporated for people to tie their shoes, wait for a companion, or simply rest. 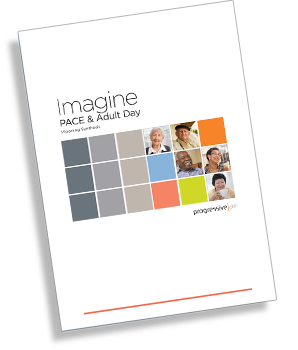 By working together the YMCA, Mary Free Bed Rehabilitation Hospital and Progressive AE saw an opportunity to reimagine space and circulation to celebrate and promote inclusion for all in a one-of-a-kind experience.